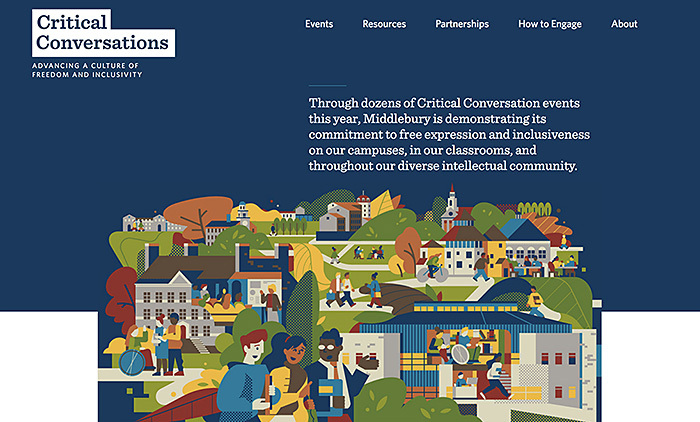 We designed Middlebury’s “Critical Conversations,” an ongoing series of events that encourage the campus community to engage deeply with issues of inclusivity and free expression. We worked with Aleksandar Savi? to create a set of original illustrations for the project. From its proud history spanning more than two centuries, Middlebury College has emerged as one of a handful of the most highly regarded liberal arts colleges in the nation. Middlebury is unique among these schools in being a classic liberal arts college that also offers graduate and specialized programs operating around the world. 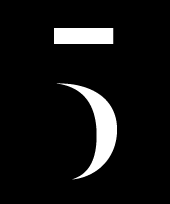 Through dozens of Critical Conversations events — symposia, panels, individual speakers, performances and exhibitions annually — Middlebury College demonstrates its commitment to free expression and inclusiveness on its campuses, in classrooms and throughout its diverse intellectual community.